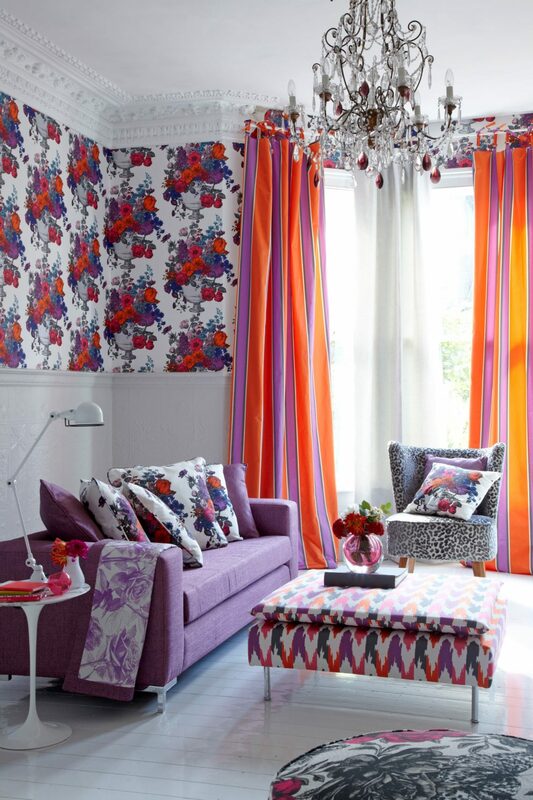 Clarke & Clarke are launching their stunningly sophisticated collection Floribunda this September. The unique collection of fabrics and wall coverings can be coordinated in the home to create complimentary styles with vivacious colours and luxurious textures to add a splash of colour and beauty to any home! 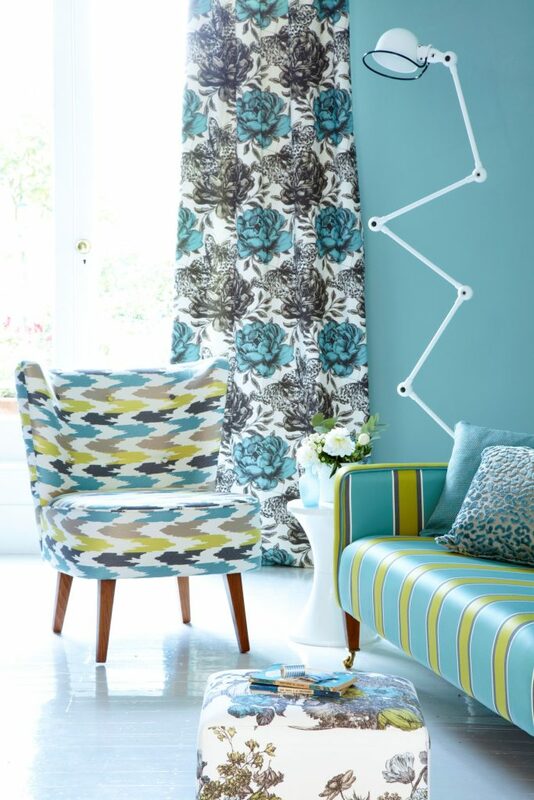 Floribunda Fabrics – Dramatic patterns, sophisticated textures and an interesting mix of scale, teamed with vibrant contemporary colours results in a stunning collection. Graphic digital prints sit alongside glamorous cut velvets, colourful satin stripes and elaborate weaves. Inspired by recent catwalk collections, Floribunda was created using monochromatic shades, through to daring hues of Orange, Fuchsia and Citrus. 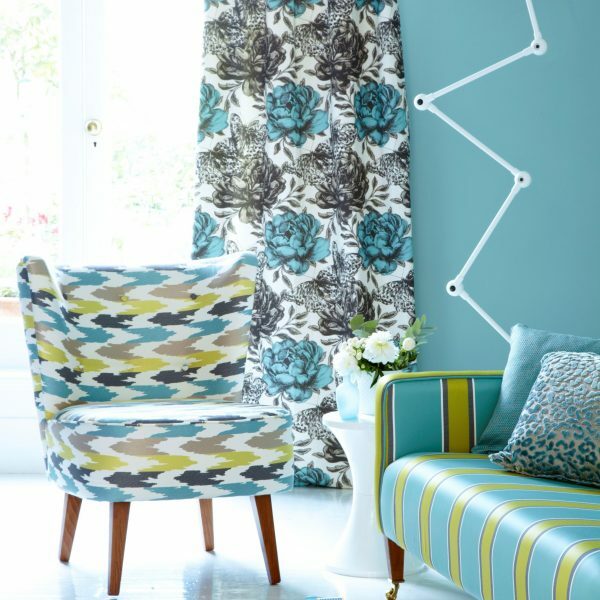 Floribunda Wallpapers – A wonderful compliment to the Floribunda fabric range, these breathtakingly beautiful wallpapers are produced in a variety of techniques. The patterns include stylish embossed damask, a smart metallic stripe, a flock printed leopard skin effect and a selection of fashionable printed designs. Of particular interest is the historical scenic toile pattern, Babylon and a luxurious semi-plain plastered wall effect, named Alabaster all in a dazzling variety of colours. For more infomation on Clarke & Clarke see online.